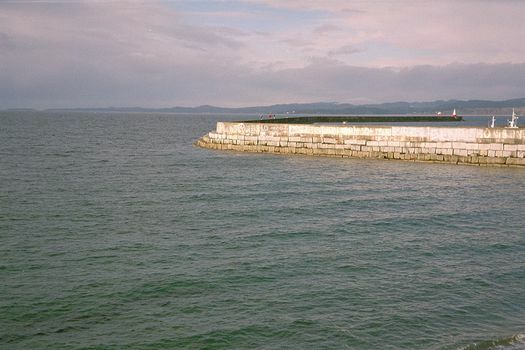 An unnamed breakwater calms the waters of Juan de Fuca Strait at the entrance to Victoria's harbor. That's a pyramidal lighthouse at the end. This picture must have been taken on a very chilly day, because it's missing the usual spray of fishermen, walkers, and dogs.